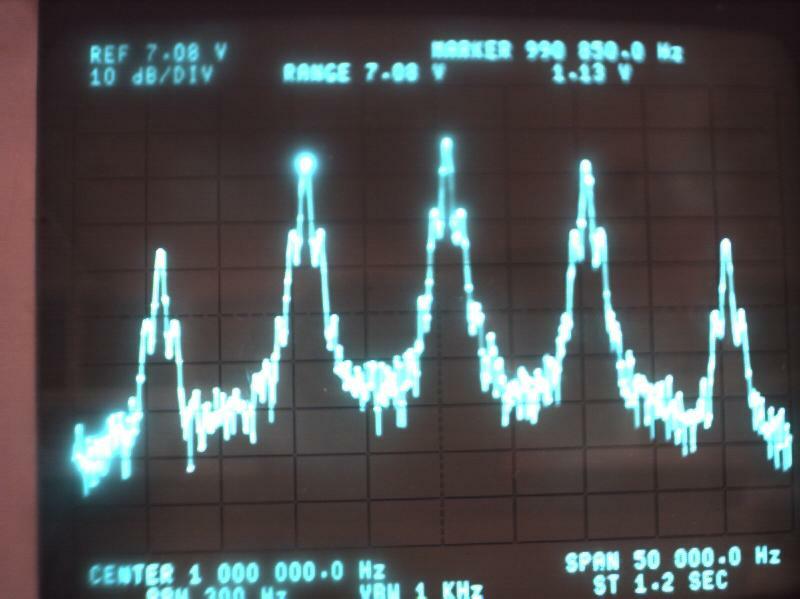 The objective of this lab is to gain in understanding of the significance of modulation bandwidth and index in AM or DSB-FC modulation by generating several different modulation patterns with several different modulation indexes and then calculated the amount of noise that is introduced into each signal. 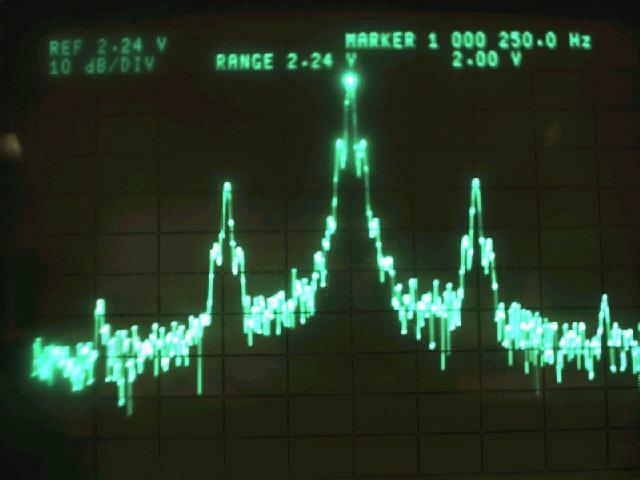 2)	Apply a DSB-FC signal to the input. 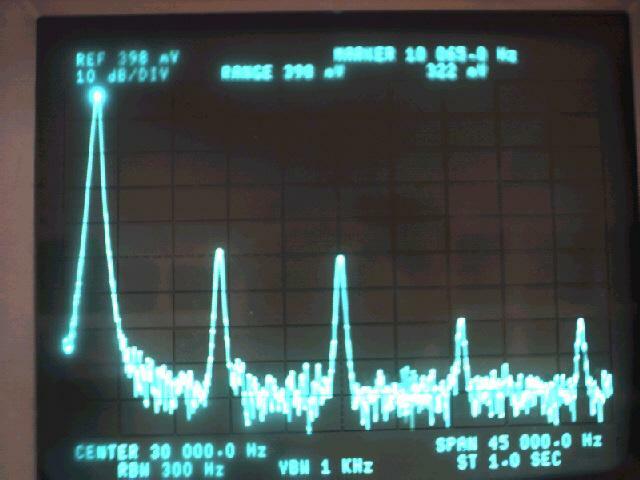 3)	Set the AM signal to have a FC of 1MHz and FM of 10KHz. 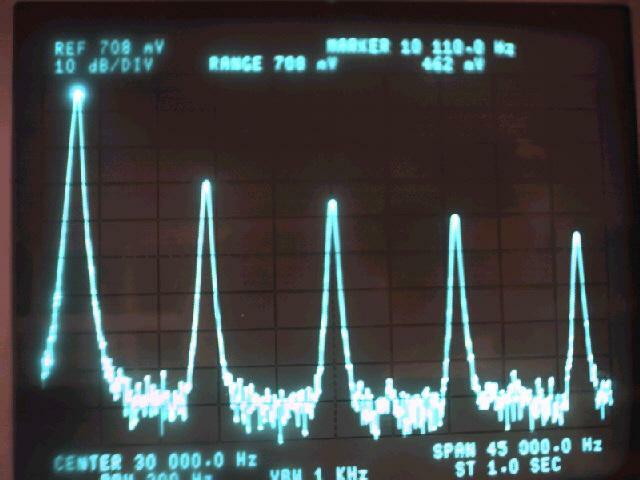 4)	Set the output to 10Vp-p.
5)	Connect the oscilloscope channel one to the RF output. 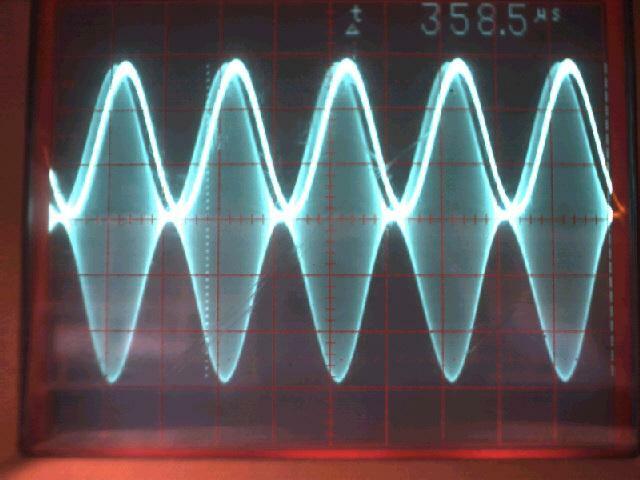 6)	Connect the oscilloscope channel two to the demodulated output. 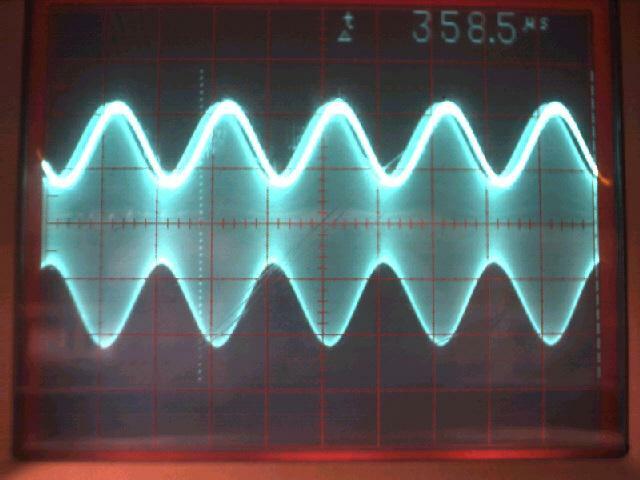 8)	Show the output waveform and spectrum. 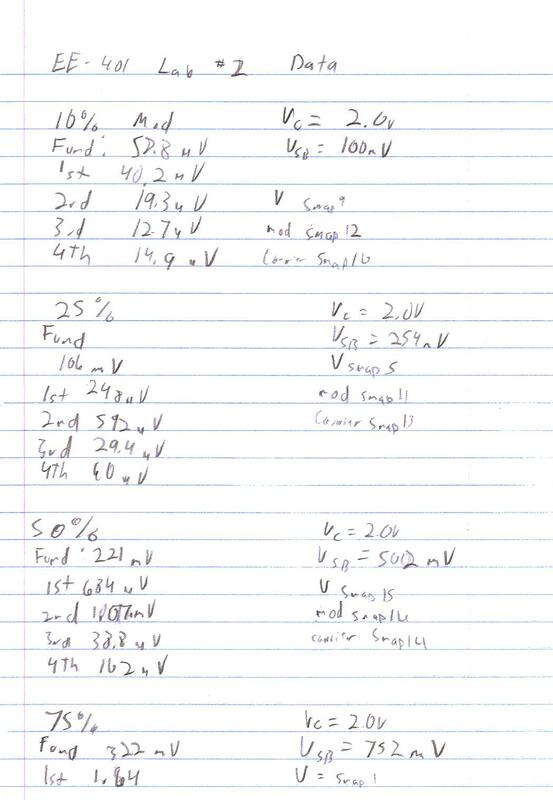 9)	Calculate the total harmonic distortion that appears at the output. 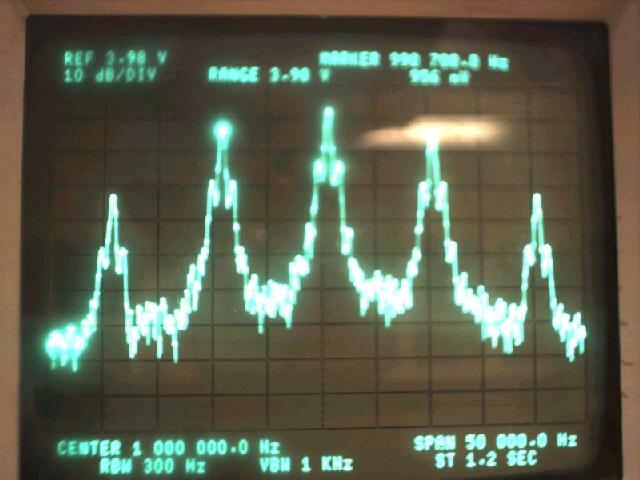 15)	Change the modulation signal to a 50% duty cycle , 5KHz square wave with a modulation index of 100%. 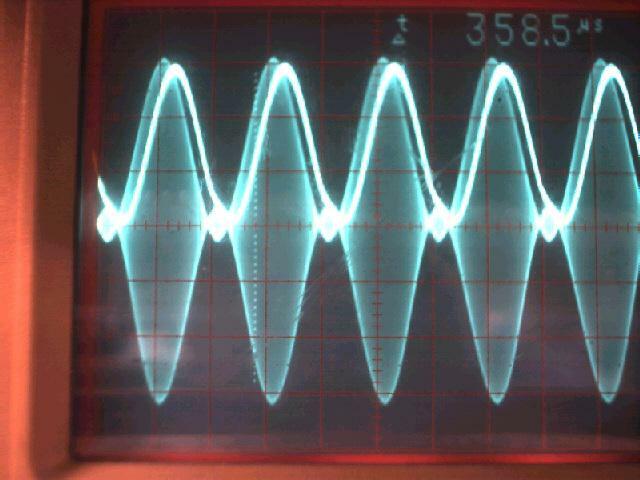 16)	Sketch the input and output waveforms. 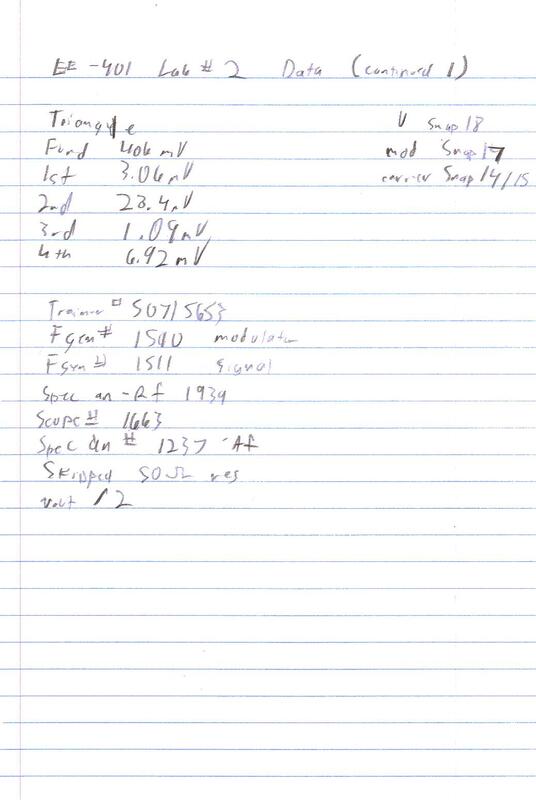 17)	Calculate the expected size of the spectral lines. 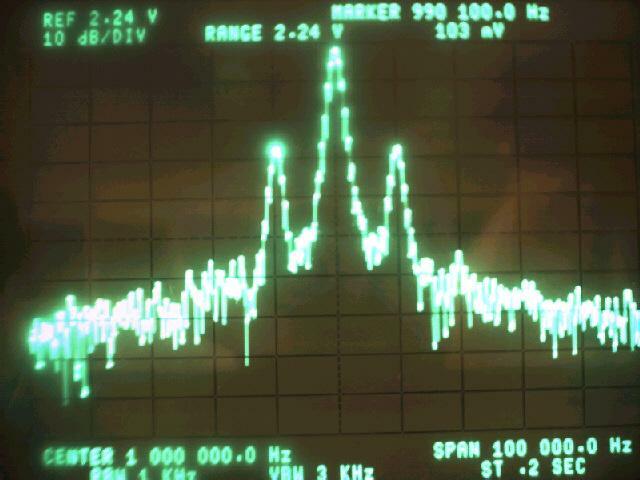 18)	Compare the size of the spectral lines with the observed ones. 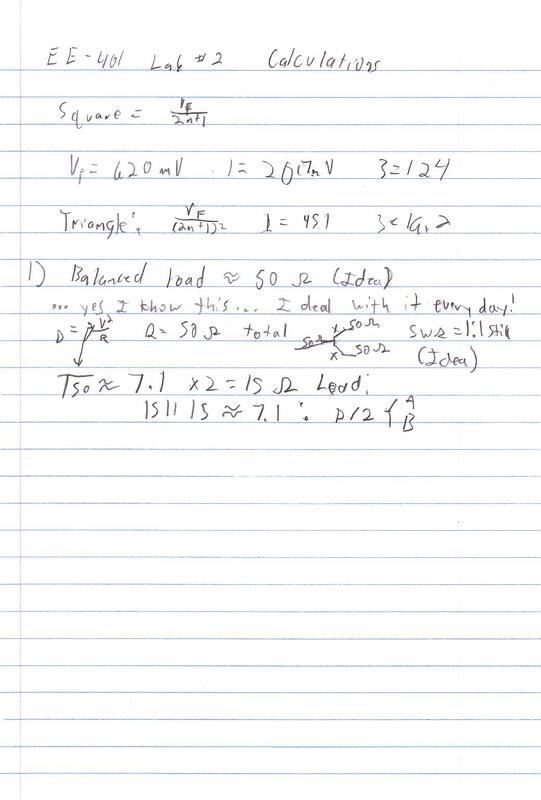 19)	Repeat steps 15 - 18 using a triangle wave. 1)	Q:	Why was the power splitter used, and how does it operate? 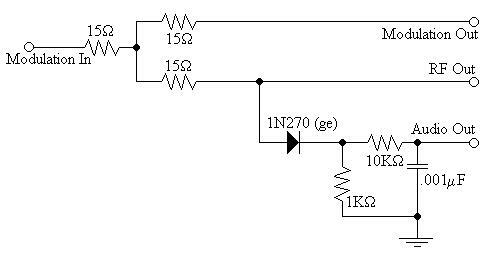 A:	It was used to divide the power between the two theoretical 50W outputs directly while still providing a 50W input to maintain maximum power transfer and keeping the SWR as close as possible to a theoretical 1. 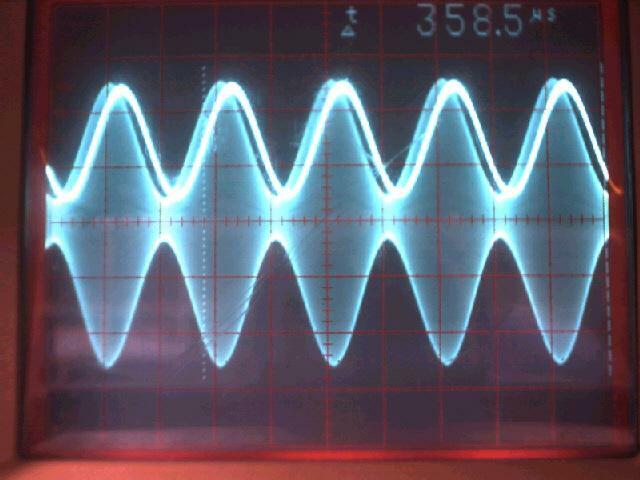 Otherwise, the Vx or Ix could become high from either a j or Z not being equal to 50W and damage the internal components. 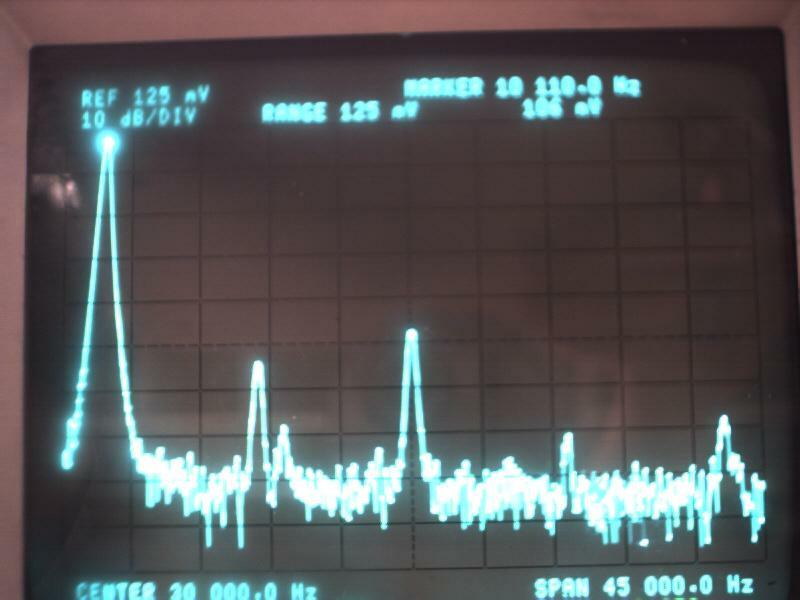 Note: Having an SWR not 1:1 also causes a situation called ground current which can cause RF burns. See attachments for more information. 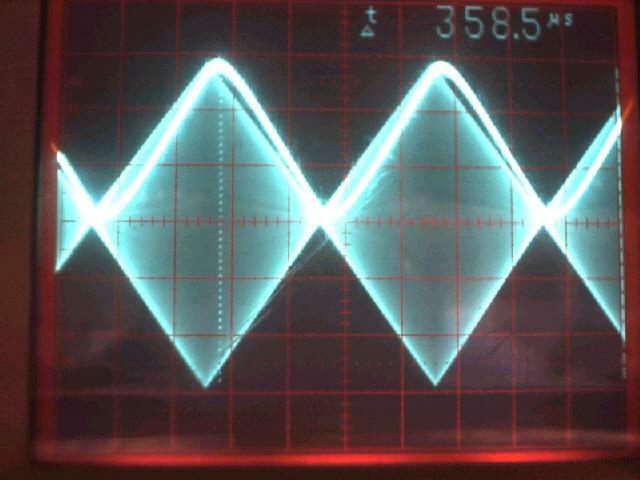 2)	Q:	As the modulation percentage increased, what happened to the amount of harmonic distortion, why did this happen? 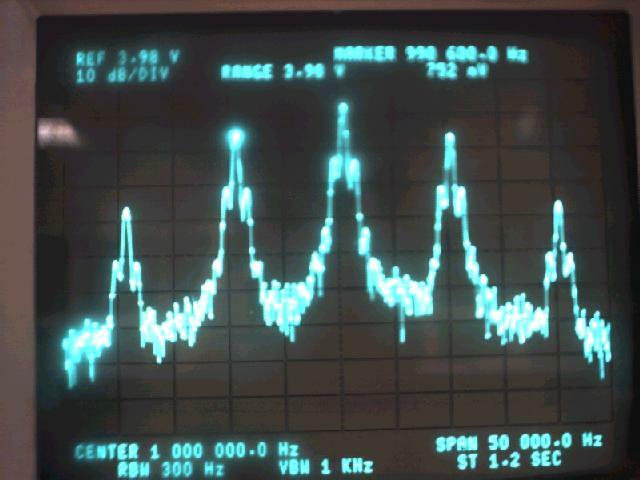 A:	The distortion dropped off significantly because there was more of a reference signal and the diode was set into it's saturation point. 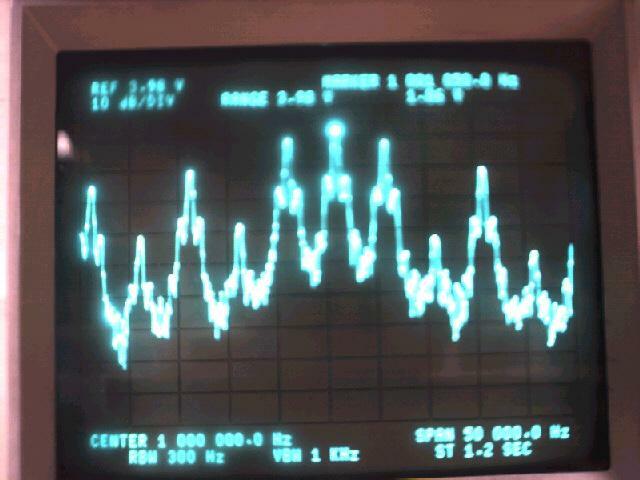 3)	Q:	Explain why the demodulated square wave and triangle wave had more distortion to them than the sine wave. A:	The waves had more distortion for multiple reason. The most significant being, that they require infinite bandwidth. 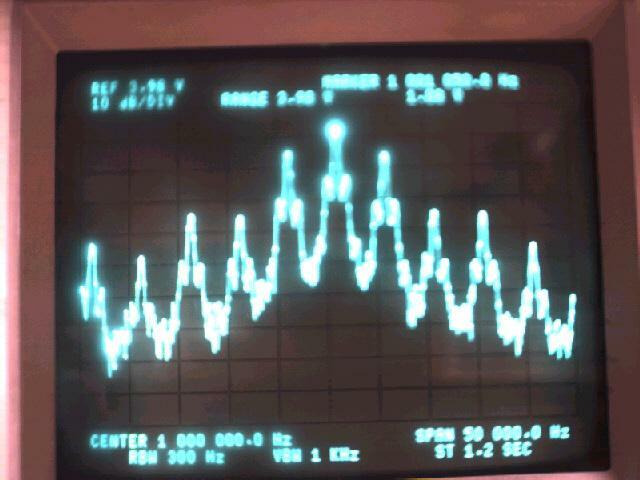 Also, the signals could be processed differently because the signal nature and reactance of the modulator. 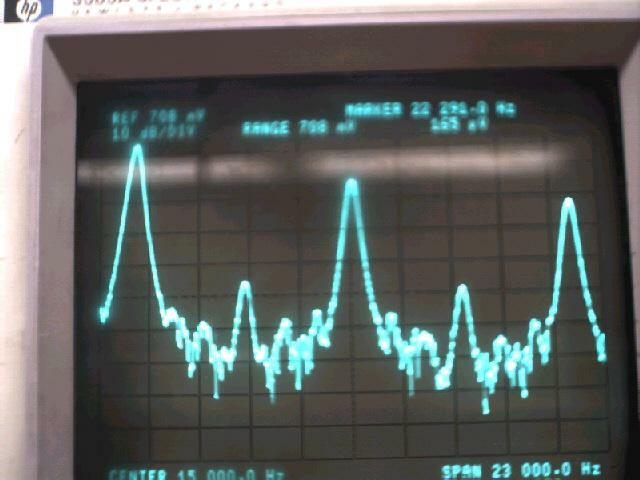 Lastly there was no definitive way to ensure that the modulation index was perfectly 100%, it is possible that the modulation index was slightly higher than that and caused a significant amount of distortion in the signal, especially at overtones. 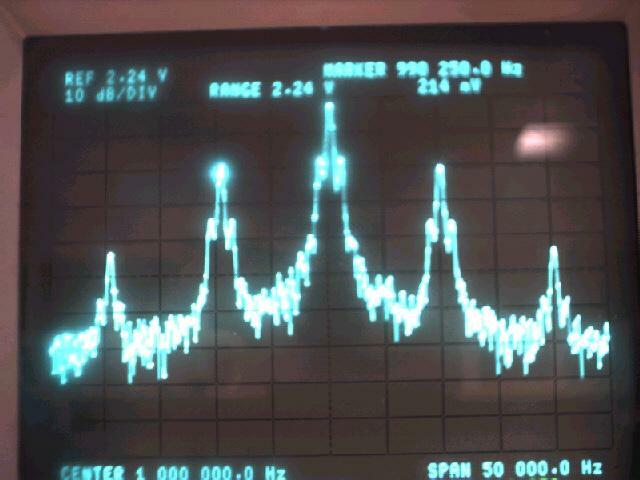 4)	Q:	What is the bandwidth required to send the following signal VIA DSB-SC: cos(2000pt) + cos(4000pt) + cos(6000pt)? 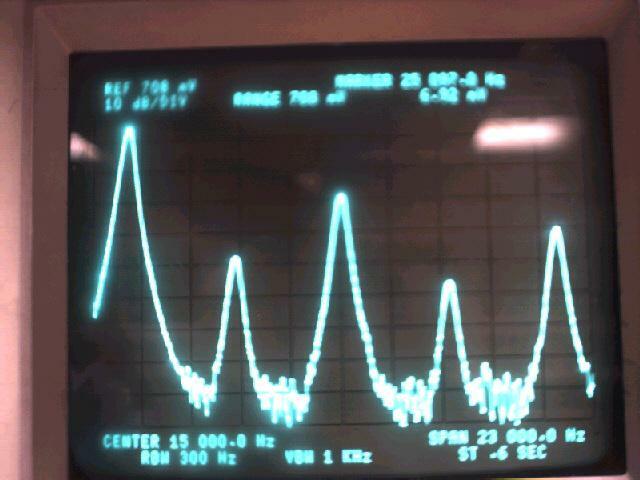 This lab has demonstrated some of the basic principles of DSB-FC modulation. 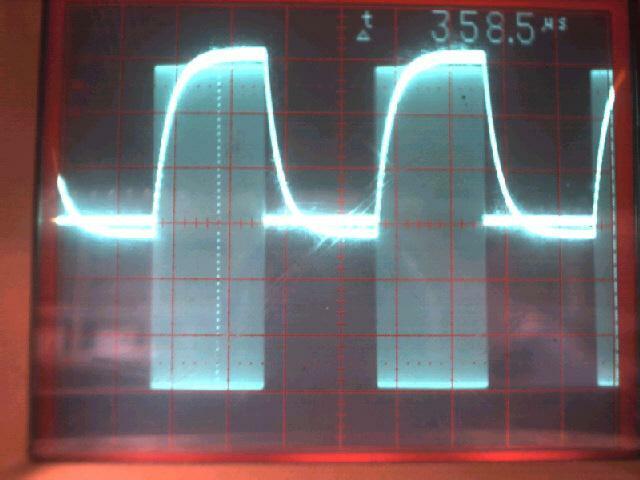 Significant problems in the lab involved the fact that there wasn't a function generator capable of putting out a signal with enough voltage to obtain the required voltage. 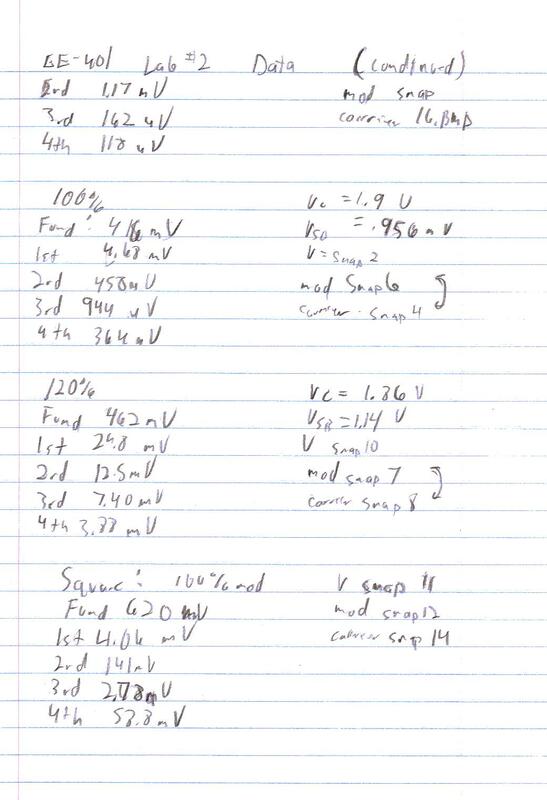 As a result, all specified voltages were divided by two during the actual experiment. 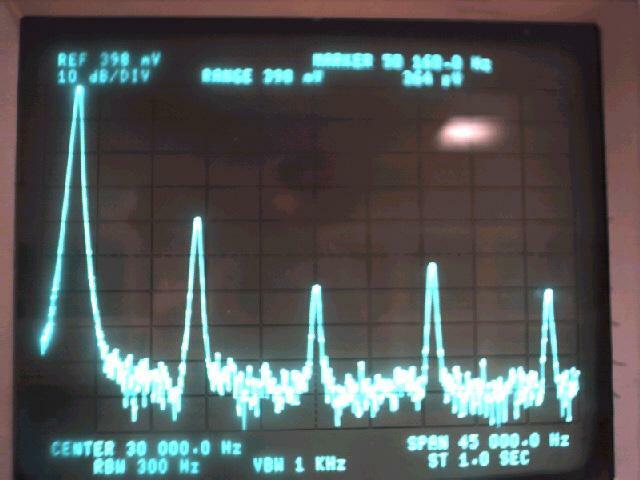 Also, the generators were not designed for 50W loads, instead they were Hi-Z outputs (S100KW). 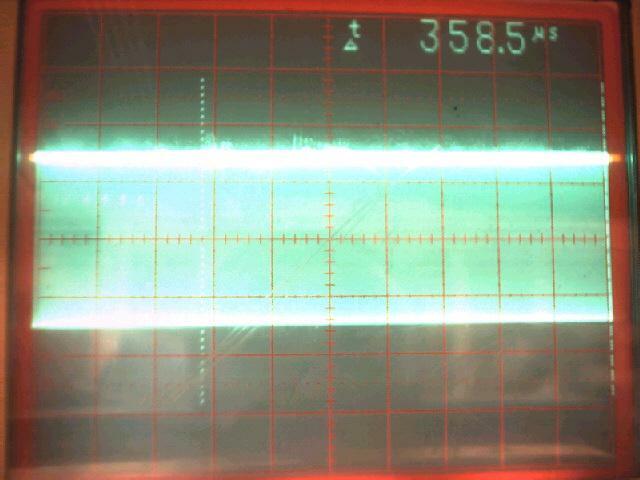 As a result, the 50W resistor from the diode input to ground was removed during the experiment. 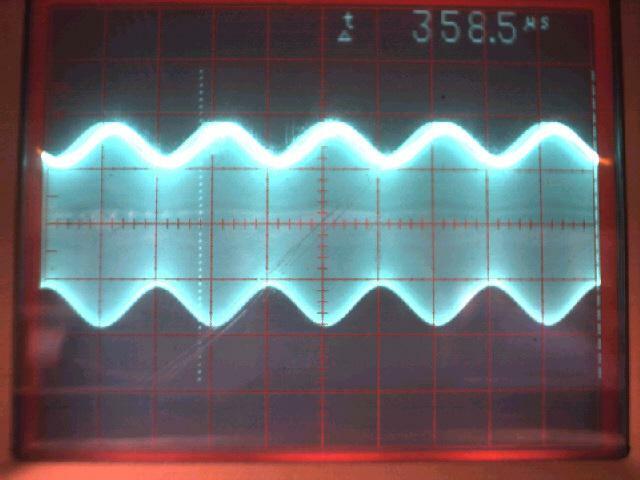 Also, calculations are not compensated for harmonic distortions inherent to the function generators. That was somewhat discussed in the explanation of question 3. 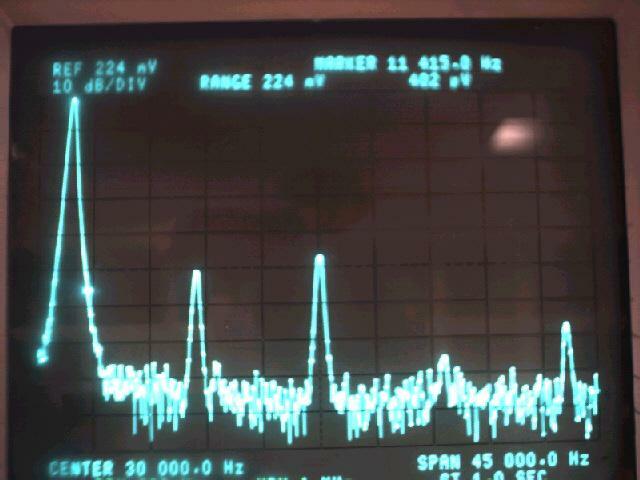 Other than that there were no other difficulties with this lab.